Book News and a Podcast for the Merry Month! Goldilocks and the 3 Cares feature BIGGER THINGS. As ever, the merry month is already busy, but I’m carefully treasuring time aside each evening for reading, TV and a bit of knitting. You gotta have priorities, right? I just finished BEFORE I WAKE by Robert J Wiersema and can’t recommend it enough, a beautifully written, heartbreaking and spooky story that also manages to contain a lot of hope and moments of intense joy and beauty. I couldn’t put it down and actually played hookey from my own writing yesterday morning to finish it. 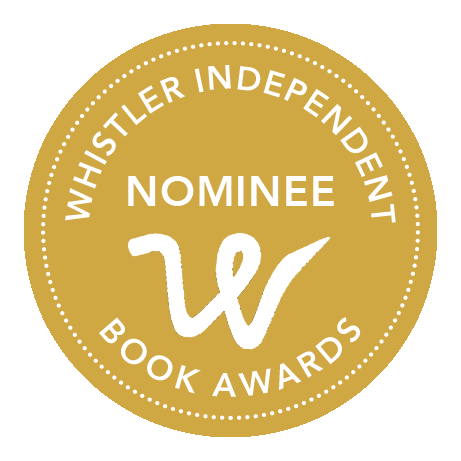 And speaking of flattered, last but not least, I was contacted today by Crystal Bourque, an author, speaker and reader that I met at SiWC this year (exemplifying just one of the many reasons I think the conference is so great, the people you meet). We hit it off and have stayed in touch. Recently she gave BIGGER THINGS a read and decided to use it for her Podcast, Goldilocks and the 3 Cares. It was fascinating and a little bizarre to hear other people (Crystal and her co-host, Andrew Gaudet) discuss my book. To my relief, though yes, there was an element they found too hot and one they found too cold, they mostly considered it just right. Yay! The more people read BIGGER THINGS and talk to me about it or review it, the more interesting I find the variety of opinions people hold. Very fun! You can listen to the Podcast here. And do make sure to check out some of their other offerings as well, or subscribe to them. They always make me laugh, provoke thought, and give me new titles to add to my to-read list–as if I need more! And since we’re on the topic of BIGGER THINGS, I have a promotion for any of you looking for gift ideas for book-loving friends or family members. For the month of December, if you buy a paperback directly from me, I’ll sign it to whomever you say, gift wrap it and mail it FREE OF CHARGE directly to your intended’s address (Canada addresses only). Contact me on or before DECEMBER 10th if you want the present to arrive in time for Christmas (Canada Post’s cut off for guaranteed pre-Christmas delivery in Canada is Dec. 11). I can take payments via PayPal, Visa, Mastercard, or you can do an e-mail transfer from your bank. Books, including GST and FREE SHIPPING within Canada, are $17.84 each. 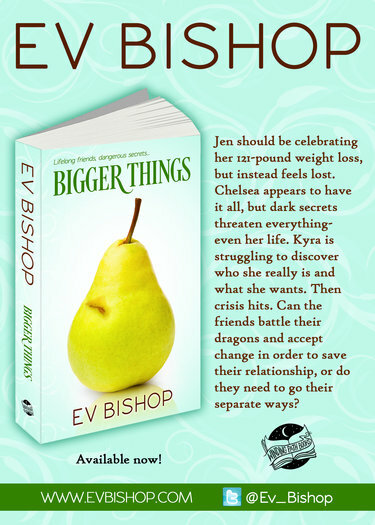 E-mail me at evbishopATSIGNevbishopDOTcom for more info or to order. And well, I think that’s it for me today: stories, stories, and more stories on the brain. I hope you’re in a similar delightful state. Bigger Things = Exciting Things! 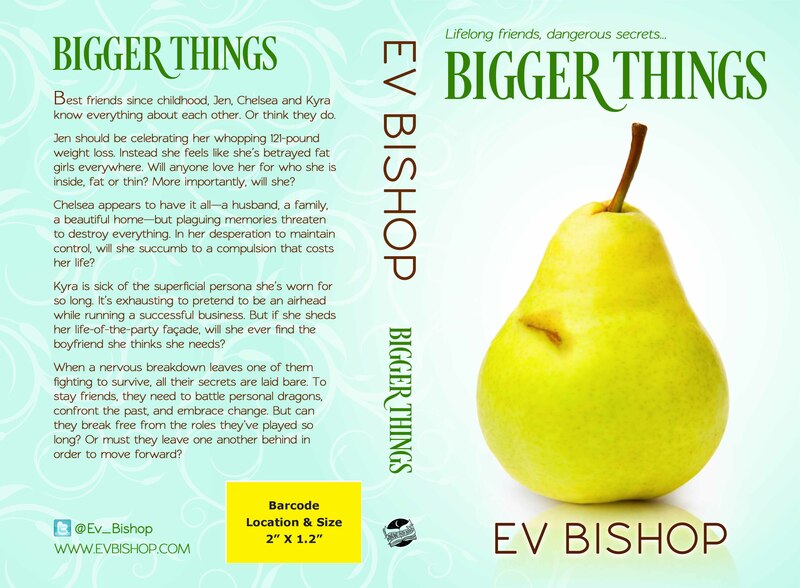 I’m so excited to report: Bigger Things by Ev Bishop is coming July 2014. And I’m freakishly thrilled to give a sneak preview of the novel’s gorgeous cover, complete with back jacket blurb. Whaddya think? I read voraciously all year long and every season has special elements that make me think, at the time, Ah, this is really it: the absolute best time of the year to read. And summer is no different. I adore sprawling out on a blanket (half shade/half not) on the hot sand at Lakelse, Ice-tea close at hand, book cracked. I revel in late night reading where the light is fading, fading, fading but still not gone. My senses are thrilled by the stormy, windy, rainy weirdness of hot summer nights, where the uneasy weather adds to the story . . . Yes, beach reads. Soggy summer savers. Sunburn salve. Bug bite balm. Sun-kissed escapes and escapades. Warm weather wonders. There’s a bunch of corny ways I refer to the books I read in the summer, and I thought it was a global thing, that everyone loved a summer read—but apparently, no. I was shocked (and horrified!) to learn that July and August are the poorest months of the year in terms of book sales, print and electronic. But whether you buy, borrow, or use summer, as I do, to catch up on my ever-present and overflowing to-be-read stack, here are a few books I highly recommend. 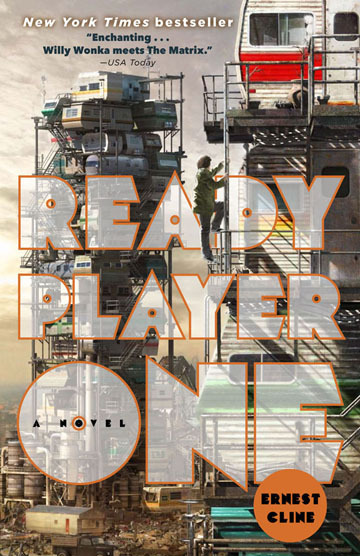 Ready Player One by Ernest Cline: totally awesome story, man! (Archaic 80s praise used intentionally because while most anyone over 13 will enjoy this story, people who were teens or 20-somethings in the 80s will have special moments of extreme-geek pleasure.) 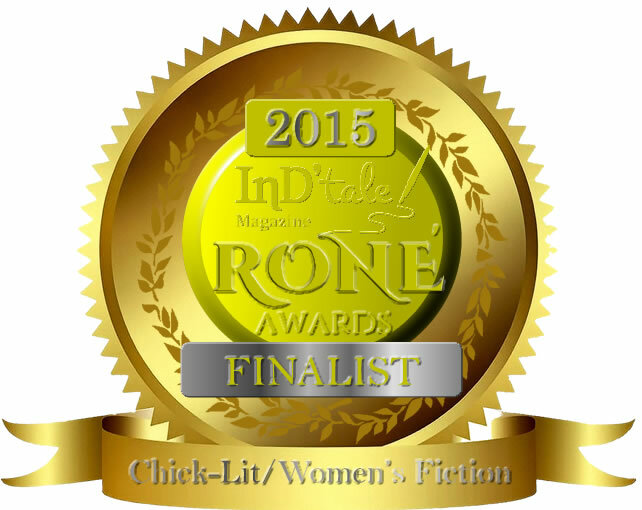 USA Today called it “Enchanting . . . Willy Wonka meets The Matrix,” and while I usually don’t like those types of descriptions, in this case, the comment nailed it. Ready Player One is pure zany fun and adventure. I hit page 10 and realized a huge smile had permanently taken over my face—a testimony to how wildly entertaining the story is, considering it’s a dystopia novel based on earth in 2044 and the author’s vision of our future world is an obvious trajectory of our society’s current issues and problems. 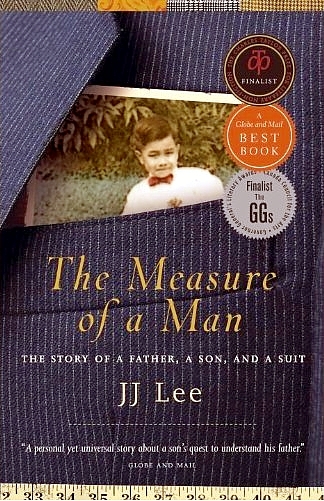 In The Measure of a Man: The Story of a Father, a Son, and a Suit by JJ Lee, the basic premise is, “Chinese man with an abusive father inherits a dated navy suit of his father’s after his dad dies, and sets about tailoring it to something he can wear—serving as a metaphor for how he searches to reconcile himself to his past,” but the book is really about so much more. Anyone who has ever had a parent (so I guess that’s all of us) will find something to identify with in Lee’s quest to come to terms with hard aspects of his childhood and to understand and make peace with his father. It also, because of the people who make up the story, sheds light on at least some Chinese people’s immigration experience—which was very interesting, though sometimes bitterly sad (for me) reading. There is a lot of pain in Lee’s personal experience, but he’s a wise, inspiring soul—and very witty and dry. And he has a lot of compassion. The latter, I think, is what spoke to me the most. Even when he’s describing his father at his worst, there’s a sympathy that really touched/inspired me. The Taste of Ashes by Sheila Peters reads more like non-fiction about actual living, breathing individuals and literally true events, than well-researched fiction that’s “merely” emotionally true. I enjoyed it—and was challenged by it—immensely. The story’s written in a braided narrative, with three main point-of-view characters: Isabel Lee, one-time wild child, now recovering alcoholic and fodder for the small town rumour mill, Father Álvaro Ruiz, a priest seeking respite in Canada after enduring mind, body and spirit breaking torture in Guatemala, and Janna—Isabel and Álvaro’s daughter, born out of an intense affair the first time Álvaro was in Canada as a young Oblate priest—a child Álvaro knows nothing about. I couldn’t put the book down—though at times, out of stress, outrage and empathy, I wanted to throw it across the room. For crime and series lovers (I’m taking it for granted that you’ve already picked up Louise Penny, starting with Still Life), I suggest Mariah Stewart’s Mercy series about an independent private investigator agency that deals with cold missing person cases. Fast-paced and super readable, I like her growing cast of characters a lot. Wherever this summer takes you, I hope your adventures involve books. So good for the mind and the soul. And so fun! Happy sunning—and reading! The Taste of Ashes by Sheila Peters reads more like non-fiction about actual living, breathing individuals and literally true events, than well-researched fiction that’s “merely” emotionally true. By praising it or raving about how much I enjoyed it, I feel I’m making light of real people’s very difficult, hard circumstances. Likewise, if I criticize any part, I feel I’m somehow slamming real people—and how dare I do that? But I did enjoy it. Identified with it. Laughed out loud in places. 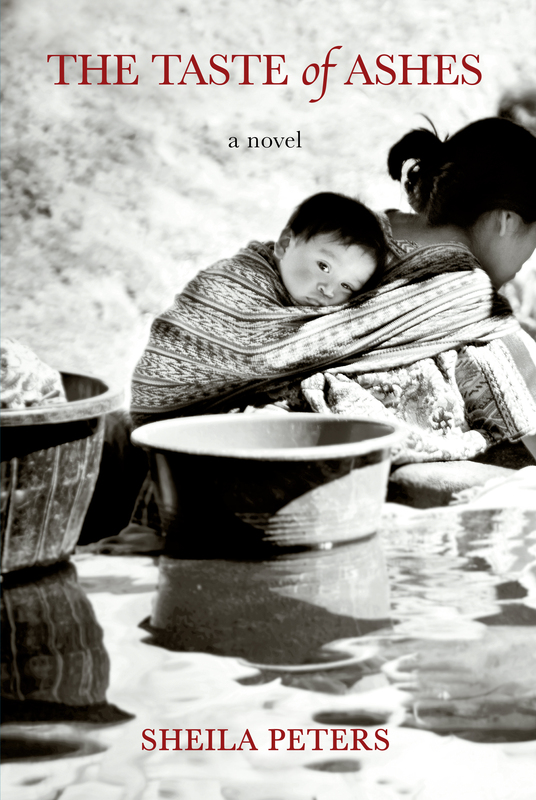 The story’s written in a braided narrative, with three main point-of-view characters: Isabel Lee, one-time wild child, now recovering alcoholic and fodder for the small town rumour mill, Father Álvaro Ruiz, a priest seeking respite in Canada after enduring mind, body and spirit breaking torture in Guatemala, and Janna—Isabel and Álvaro’s daughter, born out of an intense affair the first time Álvaro was in Canada as a young Oblate priest—a child Álvaro knows nothing about. Once their voices were established and I knew who was who, I could hardly put the book down—though at times, out of stress, outrage and empathy, I wanted to throw it across the room. Peters is incredibly skilled at showing the many-layered ways we hurt the people we love unintentionally (through ignorance and indifference—or just misunderstanding what they actually need from us)—and worse, the ways some people intentionally set out to damage and destroy others. 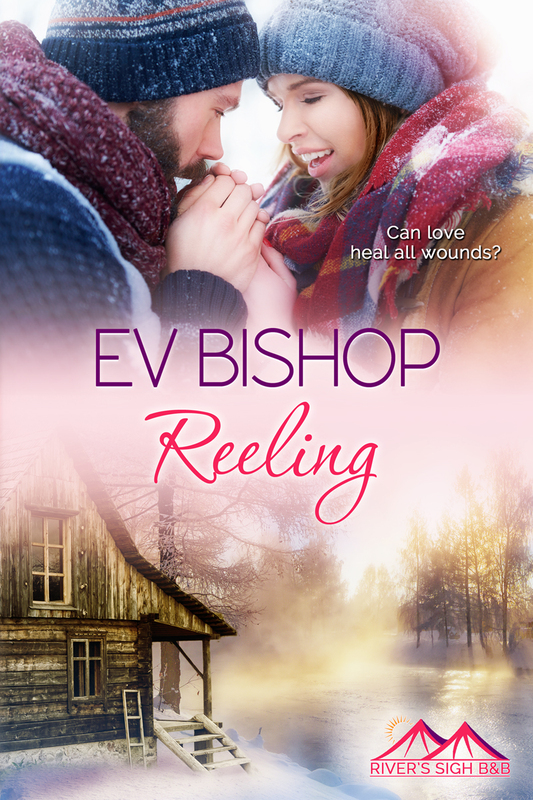 She’s equally adept, however, at showing that healing also exists (if at a price), that love (in the furthest thing from a mushy, romantic sense of the word) endures, and grace—in sharp splinters of pain and light—can eventually pierce and change even the bleakest reality. She also shows and celebrates the power of beauty and nature. Disturbing, challenging content adds depth to the pure pleasure of a well told, absorbing story and provokes thought. Like Isabel, I have lived in northern BC my whole life (I was born in Smithers and actually lived on Railway Avenue for most of my early childhood—the same street Isabel lives on), and any pain and personal hardship I’ve experienced has been on a small town scale. I don’t fear authorities. I have the luxury of “rights.” Torture at the hands of the government (shameful for me to admit) is the stuff of movie plots or awful newscast footage. I am moved and horrified by it, but in the detached way of one who is safe from such things. To explore the darkness and seeming randomness of that type of evil was very difficult and, I think, beneficial (though even that word—beneficial—reeks of privilege). I was shamed by my insulated safety, and by my lack of knowledge about South America, particularly Guatemala. As all the best novels do, the ones that are read for generations because of the glimpse they provide into specific times and histories, The Taste of Ashes broadened my view of our world, and opened my eyes to aspects of human experience that shouldn’t be ignored. I was driving to work in May, listening to the radio, and CBC happened to be interviewing a Forensic investigator about the trial of Guatemalan general Efrain Rios Montt (found guilty of genocide and crimes against humanity, he was sentenced to 80 years in jail—a historic, and long overdue, achievement for the people of Guatemala), and I started to shake a bit. Not only did I recognize the name, I had personal reaction to the type of atrocities he was directly responsible for. The Taste of Ashes can simply be read as an interesting story of a passionate, illicit love affair, its fallout and the subsequent lives of those involved, but for me it’s more—the type of tale that makes me consider the kind of person I am, the sort of life I am privileged to live—and what, if any, responsibilities come with that privilege. Peters’ beautiful, strong writing and vivid, put-you-there descriptions made it easy to forgive the (very few) instances where I stumbled over a slightly awkward phrase or transition into a different point-of-view or time period that could have been smoother. My only real “complaint” about the book is not about the story at all; it’s about its cover. While I know one can’t (or shouldn’t!) judge a book by the cover, I’m confused by its plain garb. I don’t see how the sedate, black and white photo of a babe in a blanket-sling on his faceless mother’s back fits specifically to the story or speaks to its themes. Nothing hints of the exposure (and exposé) the story provides of northern BC living. Nothing shows of the complexity of the cross-cultural, cross-generational relationships it delves into. Don’t let the slightly boring cover put you off. The Taste of Ashes is well worth your investment of time and money. If you give it a go, let me know. I’d love to hear your thoughts on it.